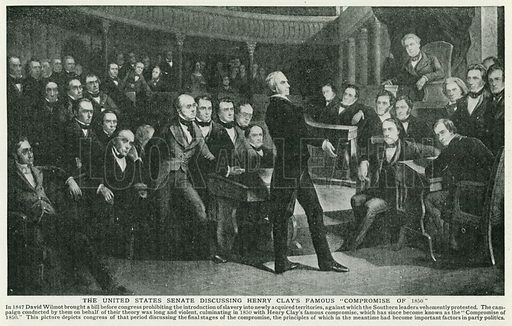 The United States Senate Discussing Henry Clay's Famous "Compromise of 1850"
The United States Senate Discussing Henry Clay's Famous "Compromise of 1850". Illustration for Harmsworth History of the World (1907). Available worldwide for immediate download up to 5,015 x 3,190 pixels.